Youth Apprenticeships (YA) combine school-based and work-based learning to provide young people career opportunities while completing their high school education. 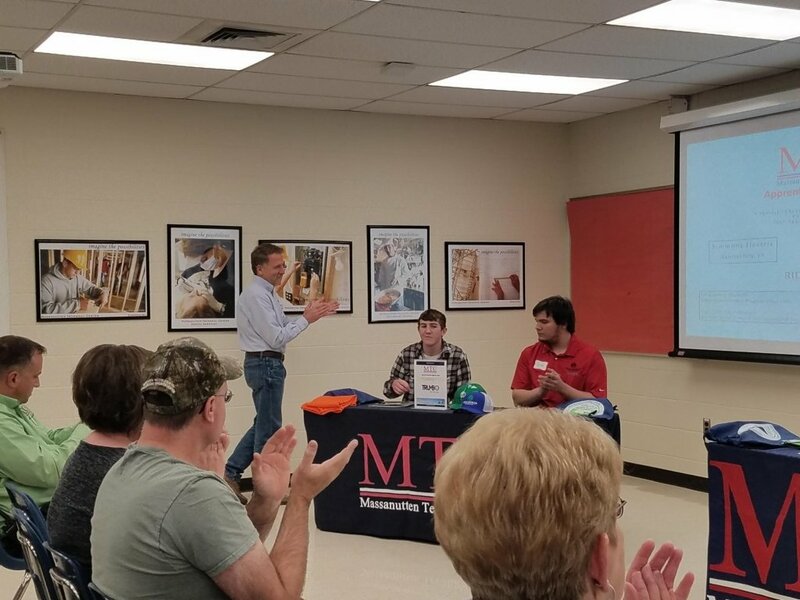 Local school systems, regional training programs, and local employers partner to offer YA participants exposure to high-demand industries, safety education, paid on-the-job work experience that meets occupational training requirements, skilled mentors, industry-specific skill development, and related classroom instruction. Program eligibility and requirements vary depending on industry, however YA is widely recognized as a fast-track stepping stone to an in-demand career with minimal expense to the student. In the Shenandoah Valley, the Partnership to Advance Youth Apprenticeship (PAYA) is a regional Youth Apprenticeship program in Virginia that combines the resources of a sixteen-district school system, a large employer-sponsor network, and multiple, well-established public/private partnerships to deliver high-quality youth apprenticeship opportunities throughout the region. The PAYA partnership is focused on providing YA opportunities in advanced manufacturing, building and construction trades, and transportation. We are excited about the growing movement toward a more sustainable, scalable, and fully-integrated workforce/education system through programs like Youth Apprenticeship. Let us show you how this program can help you reach your career goals or workforce needs! Are you a student or parent exploring career opportunities? Check out CUED-In, an app that helps you develop career connections in your community by bridging the gap between EDUCATION and BUSINESS. Are you a business interested in developing a Youth Apprenticeship Program? 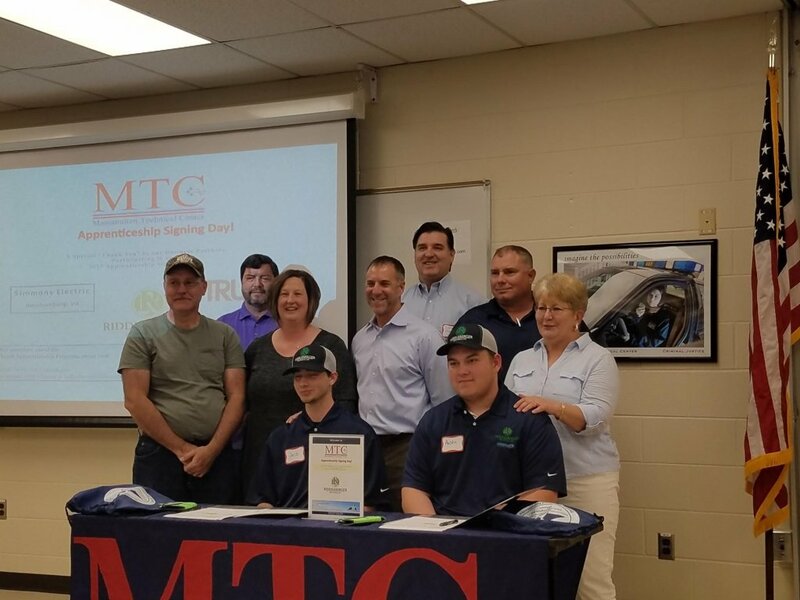 Six Massanutten Technical Center students took part in a signing day April 17, 2019 to pledge their commitment to apprenticeships with local companies. 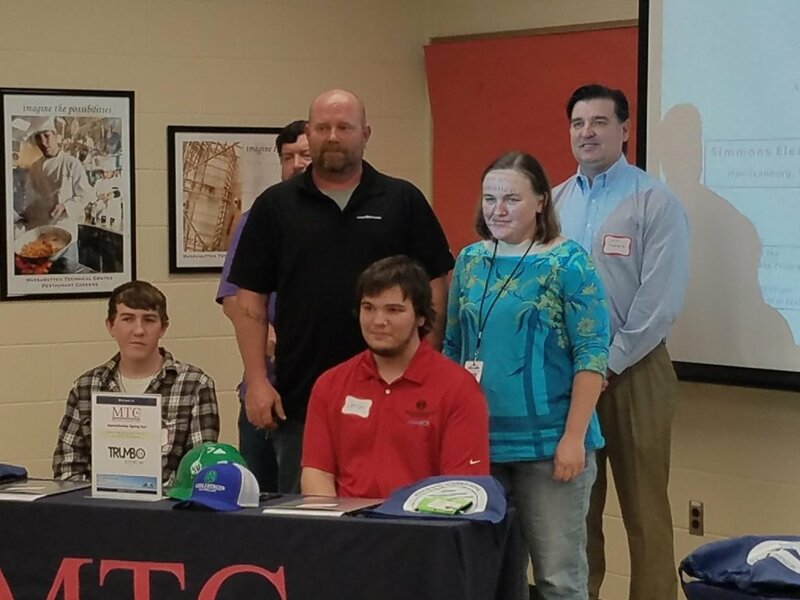 Josh Good, Jed Taylor, Jesse Dove, Austin Barb, Adam Simmers, and Jacob Allen made apprenticeship agreements with three area companies, Simmons Electric, Riddleberger Brothers and Trumbo Electric, in the fields of electrical work and HVAC work. The students were chosen based on hard work and dedication, and have already begun work at the companies they signed with. The hours will count towards becoming journeymen. 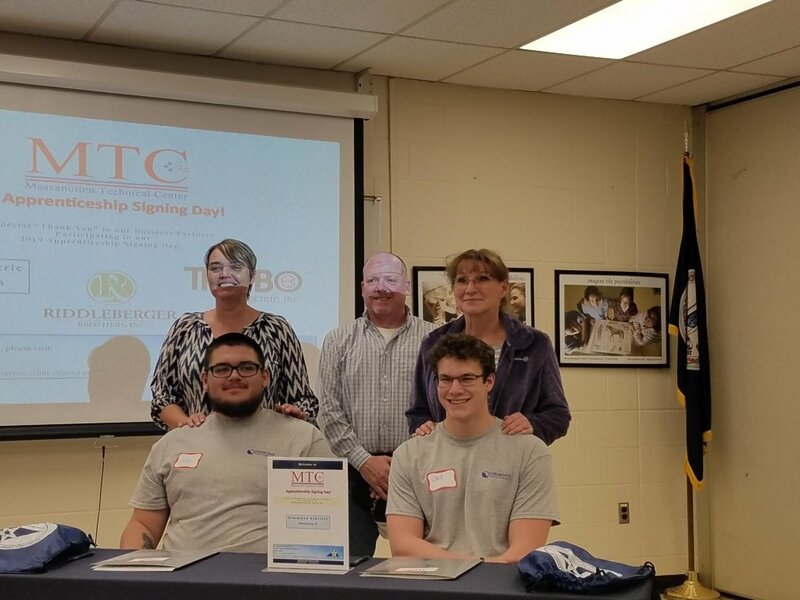 The first Shenandoah Valley Youth Registered Apprenticeship signing took place February 27, 2019 at Valley Career and Technical Center (VCTC) in Fishersville, VA. Three high school seniors were selected for YRA programs with two local employers that will provide paid work experience and cover expenses for the students’ continued education. 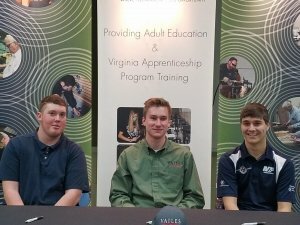 In addition to VCTC classroom work, Iliya Mezim will study HVAC at Vailes Brothers, Inc., a home improvement company in Fishersville, and Hunter Fitzgerald and Chase Reed will study precision machinery with Rexnord, a manufacturing company in Stuarts Draft. 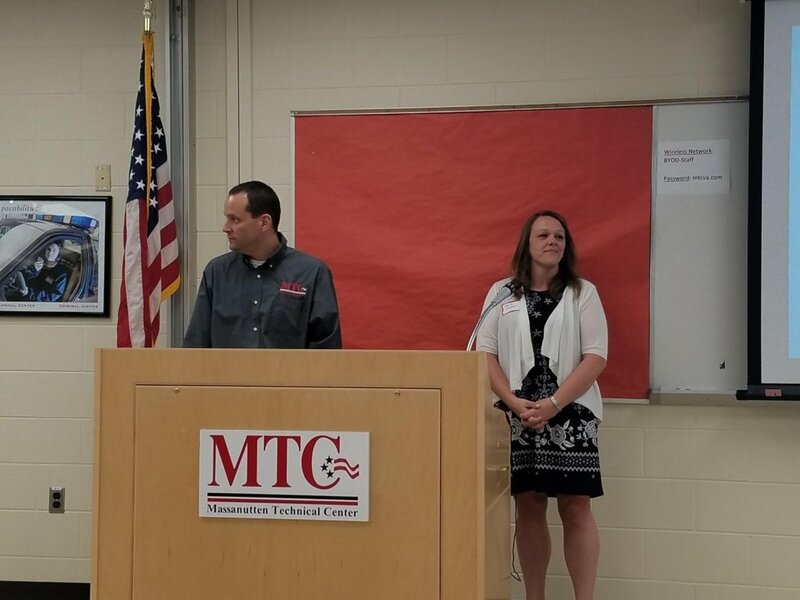 Apprentices simultaneously work towards nationally-recognized credentials in their field.